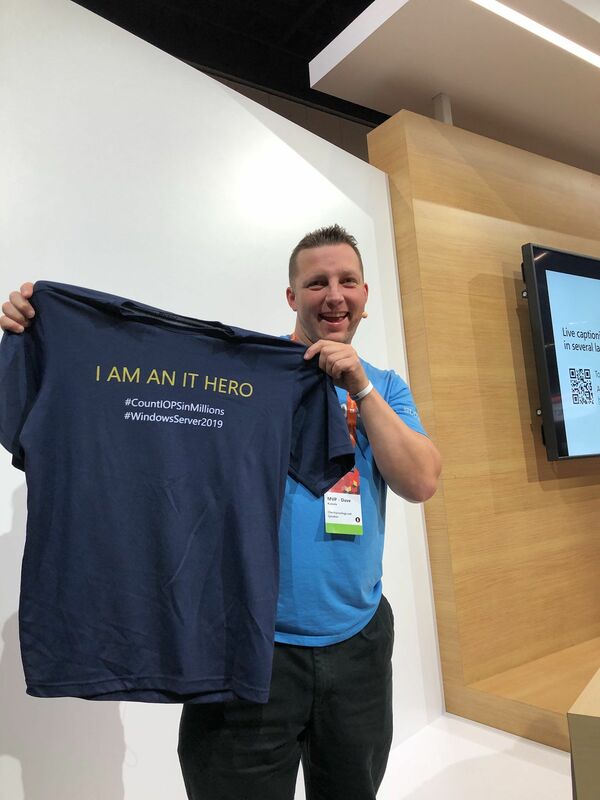 What a great week for Team DataON and IT Heroes in Orlando for Microsoft Ignite 2018! This year’s event was exceptional. The convention center was more crowded. 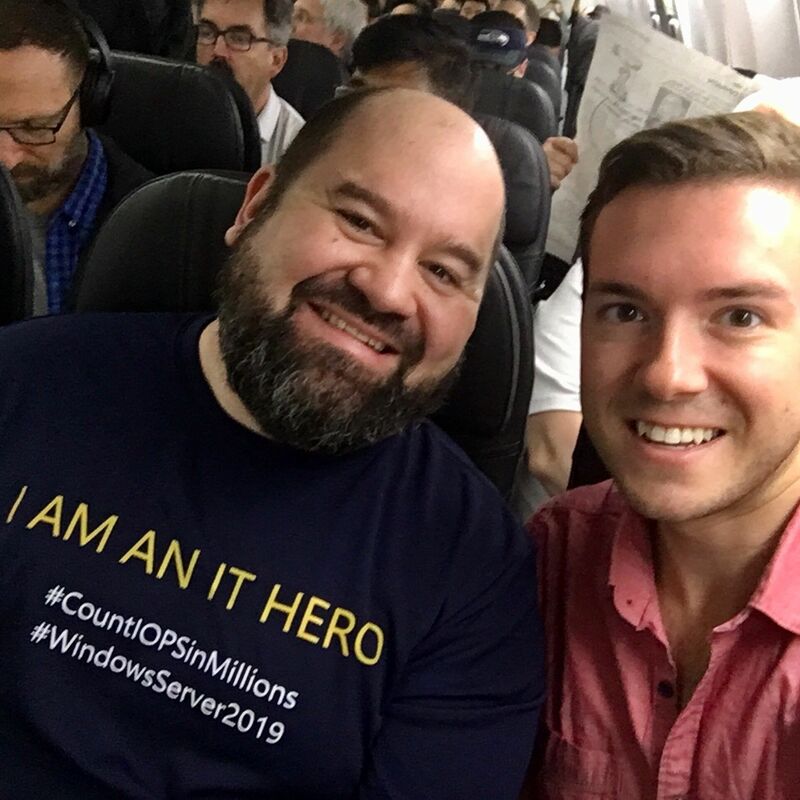 And there was an electricity in the air about the new enhancements and features coming in Windows Server 2019! Can your hyper-converged platform do this? 13.7 MILLION IOPS. On 25% FEWER SERVERS. 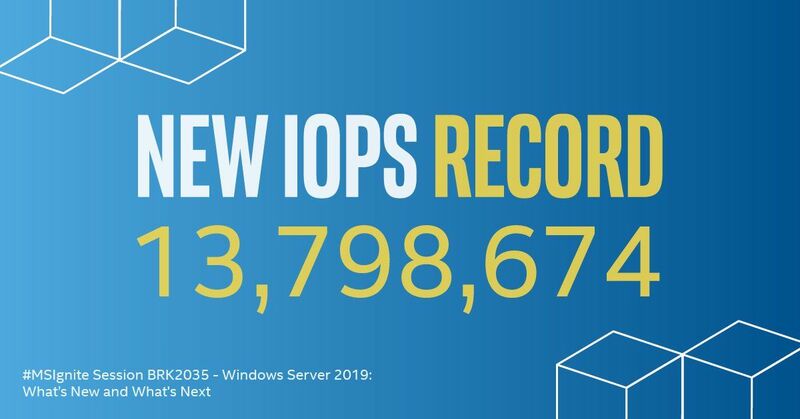 This is what performance looks like with Windows Server 2019 on modern, secure hardware that’s built for hybrid cloud to tackle the biggest workloads. Compare this to the 6.7M IOPS record that was achieved TWO YEARS AGO. And it’s available for download now! If you are a Windows Server customer with valid Software Assurance, you can download Windows Server 2019 on the Volume Licensing Service Center (VLSC). You can also download the evaluation version of Windows Server 2019 at the Evaluation Center. At Microsoft Ignite 2017, very few knew about Storage Spaces Direct and hyper-converged infrastructure. However, this year was completely different. IT professionals were enthusiastic at how Storage Spaces Direct and hyper-converged infrastructure could revolutionize their data centers, saving them upwards of 50% the cost of a comparable SAN, while delivering high availability, simplicity, and better scalability and performance. 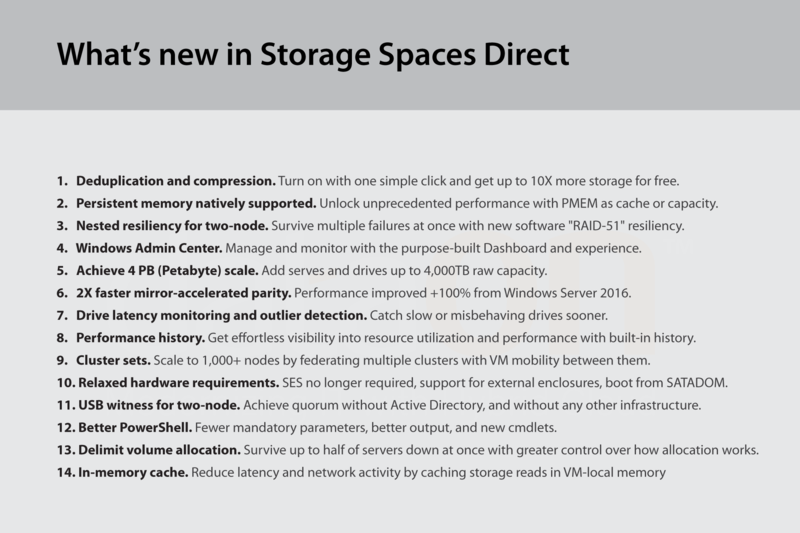 Windows Server 2019 is bringing significant improvements to Storage Space Direct, including increasing the storage pool capacity to a whopping 4PB, true two-node USB witness, drive latency outlier detection, faster mirror accelerated parity, and more hardware choices, alluring many IT professionals who use other software-defined storage to switch to Microsoft! Windows Admin Center was first introduced at Microsoft Ignite 2017 as Project Honolulu. It’s a reimagining what the Windows Server management experience could be, enabling powerful and easy centralized management of hybrid cloud, security, application platform, and hyper-converged infrastructure. It’s available for FREE beyond Windows Server and is ready to use in production. Complementing Windows Admin Center is DataON MUST, adding disk mapping, historical data reporting, system alerts and SAN-like call home service. MUST is now in VERSION 2, offering native support for Windows Admin Center! Together, Windows Admin Center and MUST provide a complete end-to-end HCI monitoring and management tool from a single pane of glass. Microsoft recommends customers choose a pre-validated and ready-to-go solution from a partner such as DataON. DataON tests and validates all of its hardware with Storage Spaces Direct. 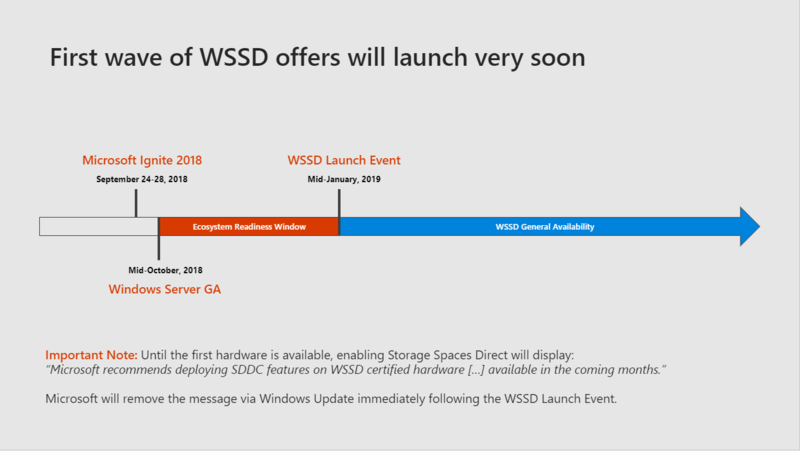 Microsoft is launching the first wave of Windows Server 2019 WSSD offers in January 2019 and DataON is actively working to have all of its solutions validated for Windows Server 2019. At the DataON booth, we previewed our upcoming Kepler-47 Gen 2 hyper-converged appliance for SMB, ROBO and edge. It’s also WSSD certified and features a new chassis and the latest Intel Xeon processors. We also showcased our new hyper-converged solutions for SQL Server that can achieve 10 million transactions per minute! Read our new whitepaper on this solution. We also displayed Intel’s new “ruler” SSD form factor in a JBOF and NVDIMM storage class memory. Thanks to everyone for coming to our booth! 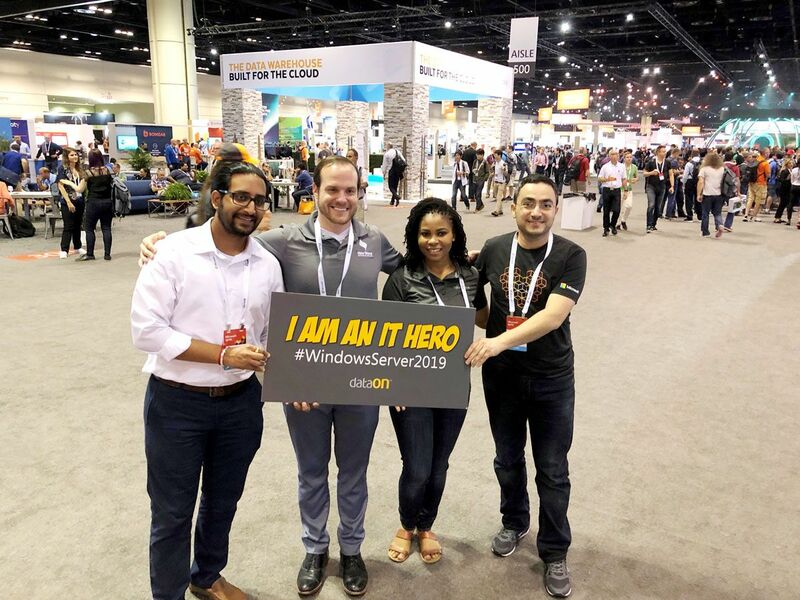 We loved talking with everyone, talking all things Windows Server and giving away our Honolulu and IT Hero t-shirts. 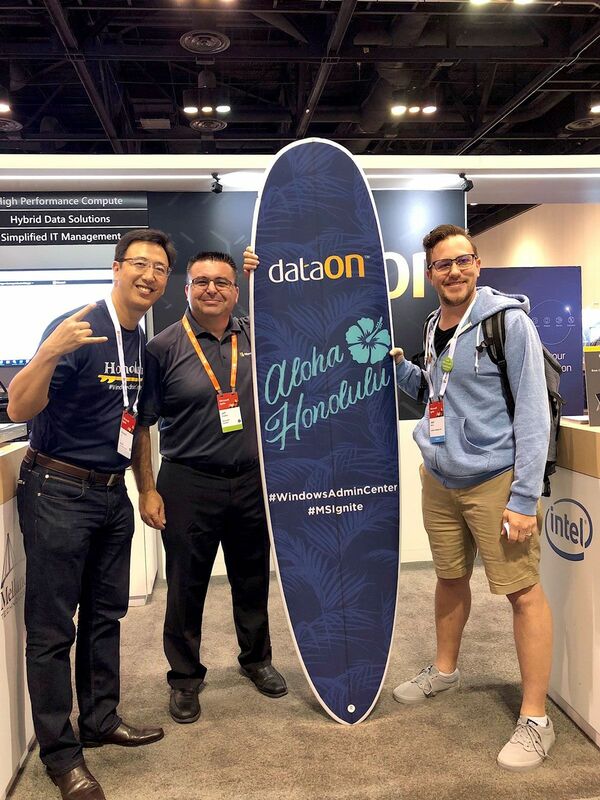 Congratulations to Josh for winning our custom Honolulu surfboard, which we created to celebrate the launch of Windows Admin Center! If you’re thinking about deploying a Windows Server hyper-converged infrastructure, contact us and we’ll help you get started on your Microsoft journey! 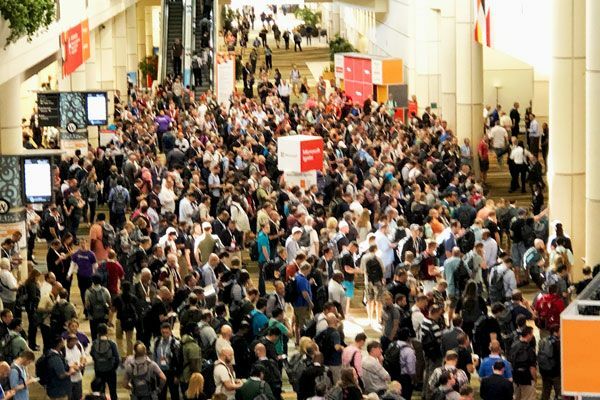 Microsoft Ignite is moving from September to November next year! Hopefully it will be a bit cooler and less humid. Each year Ignite sells out earlier so start planning and pre-register for next year’s show. Microsoft is also taking Ignite on the road, to 17 cities around the world. Each stop will have two days of tech events. Check the schedule to see if The Tour is coming to a city near you!